Most commonly known for entrance notices or directions. 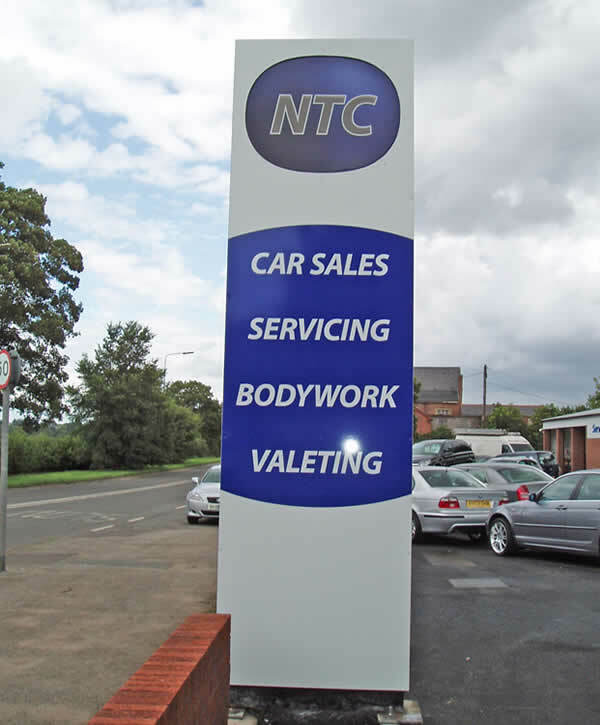 Freestanding signs which are usually used to advertise a company name. Thanks to their size, this type of sign is ideal for alerting customers to your location from a distance. 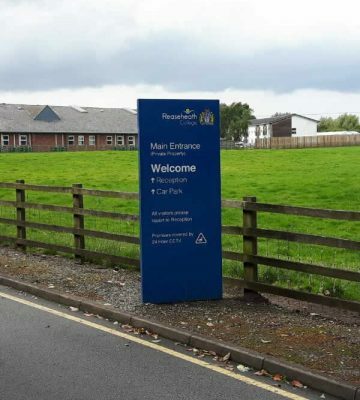 Zero Signs & Digital Ltd have completed an impressive number of projects involving totem and monolith signs. 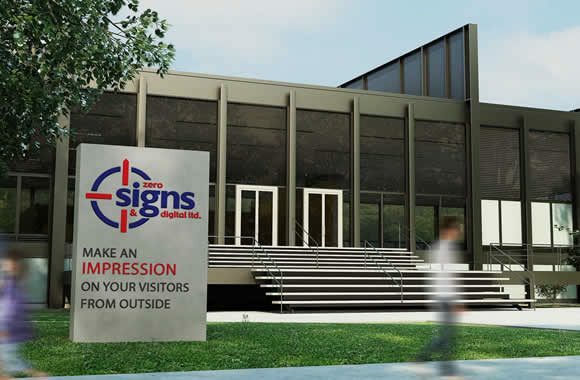 We design and produce creative totem and monolith sign solutions with innovative and forward thinking design ideas, utilizing the newest materials and technologies in the industry. This structure provides an impressive platform to advertise on, and ensures that your brand catches the eye of customers, making sure they’ll never miss you. 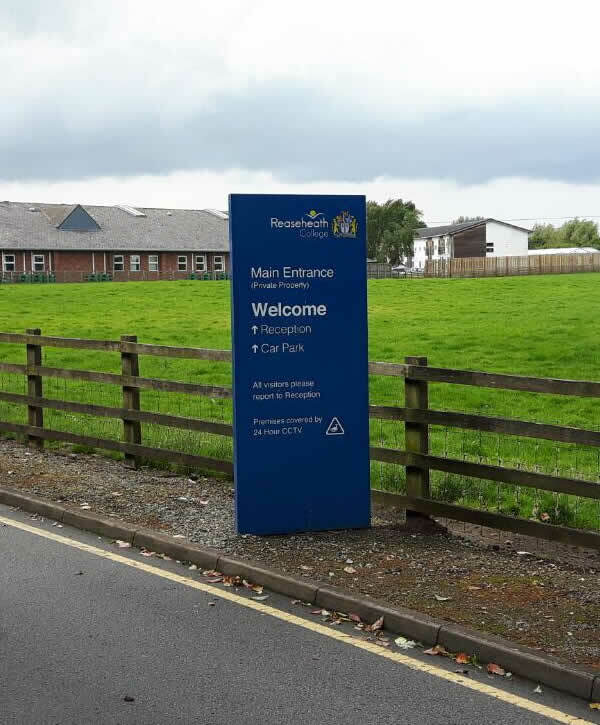 Zero Signs & Digital Ltd offer a bespoke design service and can manufacture and install totem and monolith signs right across the UK. Buy from us and you can confidently put your companies design ideas into production. 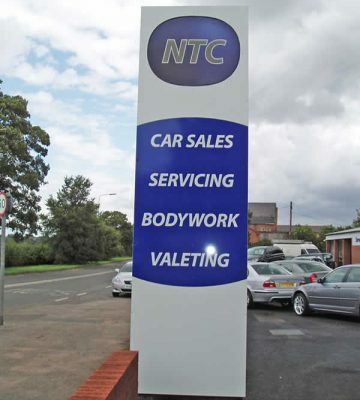 On top of that, depending on your advertising sign requirements, we can put together a deal to suit your budget. 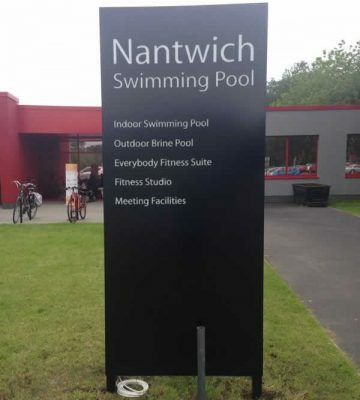 To find out more about our range of totem and monolith signs, or to discuss your own design concept, get in touch today. 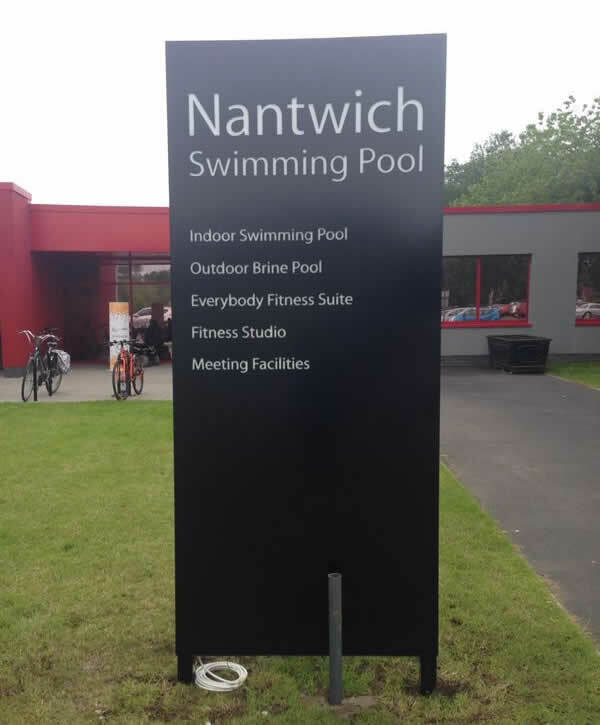 We can deliver monoliths Nationwide; our sign design, installation and fitting services are available throughout Cheshire, Manchester, North Wales, Birmingham, Sheffield, Nottingham, Leeds and even as far as London!